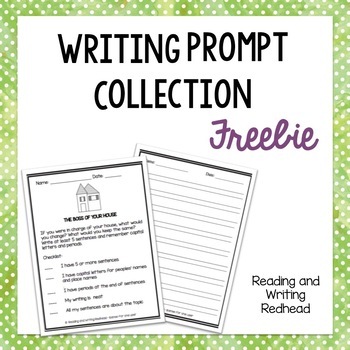 Classroom Freebies Too: Fun Writing Prompt Freebie! Hey everyone! I have a neat little writing prompt freebie for you! Would be fun to do the first month of school. The prompt asks children to think about what they would do if they were the "boss of their house. I find it inspires tons of creativity! Check it out here and let me know if you enjoy it! You can also click the image below to grab it!